Vincent van Gogh was very impressed by this particular painting by Israëls, who was a principal figure in the Hague School, a group that included Jacob Maris and Anton Mauve. These two artists dominated Dutch painting at the moment in the early 1880s when van Gogh began his career as an artist. 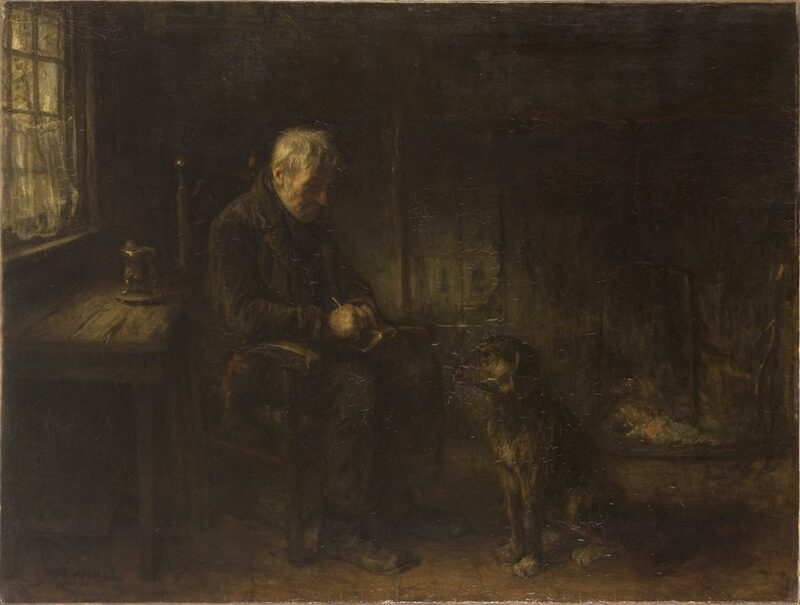 He wrote: "[An old man] is sitting in . . . a dark little cottage. . . . His dog . . . sits beside his chair those two old friends look . . . into each other's eyes. . . . And meanwhile the old man takes his tobacco pouch out of his pocket and lights his pipe in the twilight. That is all the twilight, the silence, the loneliness of those two."